What Should I do if Charged with a DUI? When you have suffered a personal injury, need representation for a family law case, or have been charged with a traffic or criminal offense, you need attorneys you can trust to get the results you deserve. 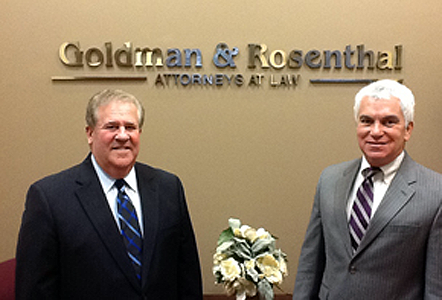 You need Goldman & Rosenthal Attorneys At Law.